Looking for hotels near Mae Haad Pier? The charming Ananda Villa offers spacious, air-conditioned rooms with private terraces, a 3-minute walk from Mae Haad Beach. Set in Ko Tao, 984 feet from Mae Haad Pier, The Miracle Guest house & Diving features free WiFi access and free private parking. Every room includes a flat-screen TV. 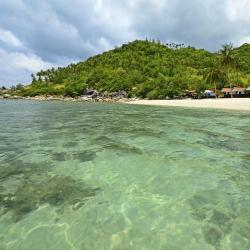 Located on Mae Haad Beach, Nirvana Guest house is a 2-minute walk to Mae Haad Pier. Sai Nuan Beach is 1.2 mi from the property, while Sairee Beach is 0.9 mi away. Overlooking Mae Haad Beach, Sensi Paradise Beach Resort is a short walk from shops and restaurants. Offering wooden bungalows built with local materials, it also features a lovely pool area. Boasting an outdoor swimming pool and a shared lounge, Oasis Hotel-Pods is located in Ko Tao, a 5-minute walk from Mae Haad Pier and 1.9 mi from Sunken Ship. Located in Koh Tao in the area previously used as a political prison, White Jail at Koh Tao Hostel offers accommodations with free WiFi access and free private parking. 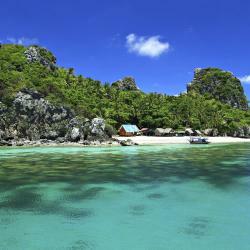 Located in Ko Tao, The Ozo Kohtao offers 3-star accommodations with a garden. Featuring a terrace, the 3-star hotel has air-conditioned rooms with a private bathroom. Brand new hotel with very modern rooms and a nice pool. 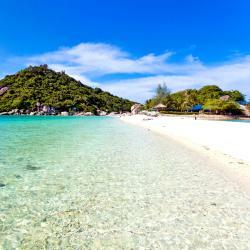 Located a short walk away from Chalok Baan Kao Bay, MAR24 Koh Tao Hotel features an outdoor pool and sun terrace. We traveled there in December. When we got there the hotel had a problem with its water supply. 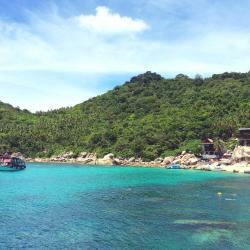 Boasting a 50-yard private beach ideal for swimming and snorkeling, the Thai-style Koh Tao Beach Club is located only 1772 feet from Mae Haad Pier and 1.8 mi from Shark Bay. I had no idea that my sea view room would be right on the beach so that was a pleasant surprise! Hotels with great access to Mae Haad Pier! People are talking about Mae Haad Pier! 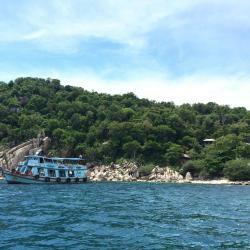 Explore guest hotel reviews featuring "Mae Haad Pier"
Perfect place to use as a base while exploring Koh Tao. The owner was extremely helpful and kind (plus gave us some excellent restaurant recommendations!) and we really enjoyed our stay. Location is very good, 5-10 minutes away from the Mae Haad pier (yet relatively quiet at night), within walking distance to a lot of restaurants and dive/excursion offices. Beautiful resort. Landscaped grounds were gorgeous. Hotel staff was great. Restaurant was delicious. Morning breakfast (included in my rate) was outstanding. Very nice that they offer a hotel shuttle down to the town at Mae Haad Pier during the day and evening as the resort sets high upon a ridge and a 10-15 min (steep, curvy, one-lane) drive into town. Setting is walking distance to Mae Haad Pier if you have an early morning ferry to take. 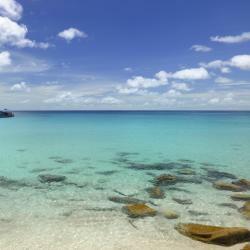 Beautiful beach and snorkeling to shipwreck.